Suddenly a man with leprosy came and knelt in front of Jesus. He said, “Lord, you have the power to make me well, if only you wanted to.” Jesus put his hand on the man and said, “I want to! Now you are well.” At once the man’s leprosy disappeared. Jesus gives us unforgettable examples of how to care for the sick. He shows us His care for the sick by being willing to touch someone with a deadly and contagious disease with His bare hands. Back in the time of Jesus, people diagnosed with leprosy were untouched by any human, forcibly removed from their homes and families and sent into exile. Thanks to extensive medical breakthroughs, exiling lepers is no longer practiced, but there are many different diseases today that have taken the place of leprosy in the eyes of society. One disease that stands out in this century is HIV/AIDS. The world is filled with darkness. But we can bring light by sharing our hope, which the Bible calls a “sure and steadfast anchor of the soul” (Hebrews 6:19), with those already sick. Then, to help save family members and friends from being infected with HIV/AIDS, we have a message of hope and truth. There is a myth circulating internationally that HIV/AIDS is no longer as deadly as in previous years. The belief among the young and the aged alike is that, due to state-of-the-art research, HIV/AIDS has a cure. But in fact, about 63.7 million people are living with HIV worldwide. An estimated 1.1 million died from AIDS in 2015 and 2.1 million were newly infected. The largest single cause of death in Africa, inclusive of South Africa, is HIV/AIDS. The newest medicines have been able to prolong the lives of many AIDS patients. But there is still no cure and the medicines that do prolong lives are very expensive. Even today, there are people living with HIV/AIDS in every country for which data is available. In many parts of the world, those who suffer from HIV/AIDS are also targets of gossip, withdrawal and harmful labels. While it is important to use great caution regarding the possibility of infection, it’s also important for followers of Jesus to continue to express His grace to others. Let us embrace those who are ill as Jesus embraced them, with open arms and open hearts. As they consider their affliction, a victim’s heart may be broken and tender. Jesus is the only true source of healing. Let's show those who are suffering the love of Christ! Believe God for His grace, mercy and the pardon of sin, as you share your faith. We must be charitable to the those who have fallen ill and sympathize with each victim of an incurable disease. Some victims of deadly diseases are exiled and dying alone. If you know of someone or have a family member who has fallen victim to sickness, please pray for them and tell them about Jesus who came to save them. 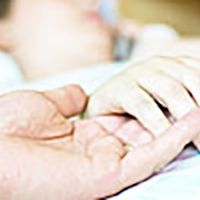 Will you find time this week to pray for the sick? Lord, I ask you to give me the opportunity to share the hope your son gaves us to those who are sick. Have you spoken to your teenagers about HIV/AIDS?